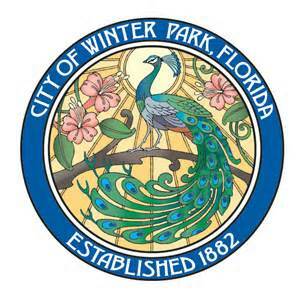 Winter Park Florida is a city in Orange County, Florida. At the 2010 census, the population was numbered at just 27,852. Rollins College and the Charles Hosmer Morse Museum of American Art, which contains the largest Tiffany glass collection is located in this great city. Winter Park boasts plenty of open park space, great neighborhoods, green lush golf courses and fine shopping and dining along Park Avenue. In the 19th and early 20th centuries, Winter Park, Fl. was originally founded as a resort community by business moguls from the north. The main streets are dotted with civic buildings, retail, fine art galleries, a liberal arts college, museums, beaches and boat launches. Winter Park's first residents were the migrant Muscogee people. The Native Americans came together to form a new culture which was called Seminole. Europeans first came to reside on this land back in 1858, when a certain David Mizell Jr. purchased a parcel of land consisting of 8 acres between Lakes Virginia, Mizell and Berry. The homestead settlement later became known as Lake View by the inhabitants and back in 1870 it received its first post office and a new name - Osceola. The area did not begin to develop in earnest until 1880 when the South Florida Railroad connected the great city of Orlando and Sanford. Winter Park came into existence thanks to Loring Chase who came to the area to recuperate from a lung ailment. During his travels he noticed the grouping of lakes which were positioned just east of the railbed. Mr. Chase and the wealthy Oliver E. Chapmen purchased a very large parcel of land and together they planed the town of Winter Park. During the next four years they drew up plans for the new town, laid out new streets, planned and built a new town hall and store, planted orange trees and made it mandatory that all buildings met their style and architectural standards. President Chester A. Arthur visited Winter Park and declared that it was "the prettiest place I have seen in Florida". On February 23, 1888 President Grover Cleveland also visited the area and was honored at a huge reception at the Seminole Hotel. He stated that the Bounding Horse Cart ride was a very pleasant diversion. Franklin D. Roosevelt visited the area back in March 1936 and received an honorary degree in literature at Rollins College. President Barack Obama was received at the Rollins College on August 2, 2012 at which time he delivered a speech which was part of his re-election campaign. In 1972, an agricultural agent and "resident layman expert on Central Florida water" sent a letter to the editor which warned Orange County Mayors of the possibility of sinkholes which could devastate the area due to over development and excessive groundwater usage. Mr. Swanson feared that the west Winter Park area could be especially at risk for sinkholes. Just as he predicted and feared, on May 8th 1981 a massive sinkhole appeared near the corner of Denning Drive and Fairbanks Ave. Within a very short period of time a 40 year old sycamore tree close to a house had vanished into the sinkhole. By the next morning the hole widened to nearly 40 feet. The residents were evacuated close to noon and that very day the house was swallowed up as well. The sinkhole gradually grew to 320feet and was as deep as 90 feet and eventually swallowed up 5 Porsches, a pickup truck and camper top, Winter Park's municipal pool and entire portions of Denning Dr. By the next day nearly 250,000 cubic yards of earth had disappeared into the sinkhole. It was estimated that the damage was between $2 to $4 million. Eventually this enormous sinkhole became a tourist trap. The Langford Resort Hotel stood as a gateway to the attractions of "Old Florida" in Central Florida and also served as a social hub for decades to follow. Famous guests included Frank Sinatra, Ray Charles, Dean Martin, Larry King, Hugh Hefner, John Denver, Lady Bird Johnson and President Ronald Regan and his wife Nancy. In late 1999 the Langford Resort Hotel was honored in a party, then closed and demolished. As of 2009 a portion of the former hotel property was developed into luxury mid-rise condos. What was left of the property parcel was re-developed and in 2014 the Alfond Inn, a boutique hotel, which was owned and operated by Rollins College, opened at the original site of the Langford Hotel. The Winter Park Sidewalk Art Festival is known as one of the nation's oldest, largest outdoor art festivals. Two years ago, in 2012, 1200 artists from all around the globe applied for entry and judges chose 225 national and international artists to attend the show. Now in its 50th year, an all-volunteer board of directors manages the annual art festival in Winter Park, Florida. The National Endowment for the Arts, the White House, and even the U.S. Congress have praised this art festival for promoting art and art education. Thousands of visitors from all over the world flock to the scenic Olde Winter Park area which is made up of small, winding brick streets, and a beautiful green canopy of old southern live oak and camphor trees which are draped with Spanish moss. The Bach Festival, the nationally rated Sidewalk Art Festival and the Winter Park Concorurs d'Elegance play an important role in the annual festivals held in Winter Park. The Mead Botanical Garden which covers 47.6 acres of prime land within the city, exhibits several ecosystems, an amphitheater, butterfly garden, discovery barn and recreation area. Quite a few of the still standing structures are more than 100 years old. Winter Park Florida is truly a beautiful city and its residents relish in the fact that they can live and work within its confines. With its beautiful clear blue water lakes and beaches, this particular community is just another shinning jewel in the crown of Central Florida. If you are interested in buying or selling your home or condo in Winter Park Florida please call.